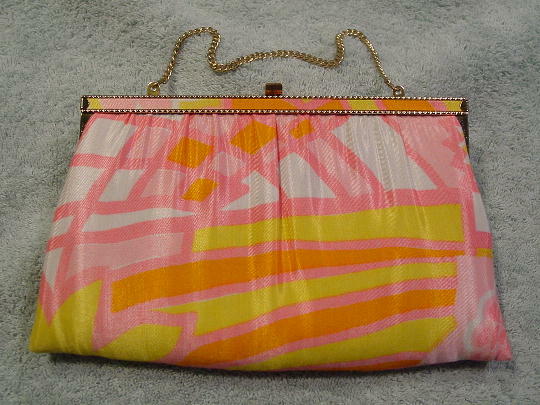 This vintage fabric evening purse is a H L (Harry Levine) USA. The dark blue satiny fabric lining has H L USA in gold-tone letters. There is an open back pocket in a satiny-champagne color fabric. 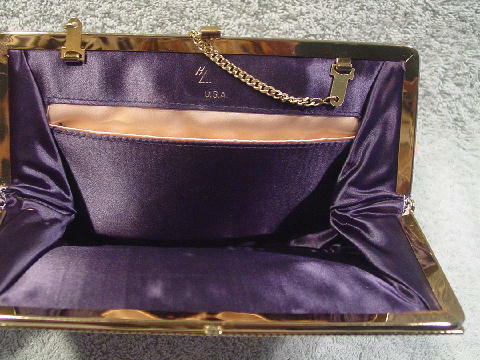 It has a 10 5/8" long gold-tone link chain which can be tucked inside so you can carry the purse as a clutch. There is a gold-tone metal frame with a tiny etched design edging the thin fabric panel and a curved bar top closure. The back shiny gold-tone rim has a small tarnish spot on the left side. The rest of the darkening on the rim is just a reflection. 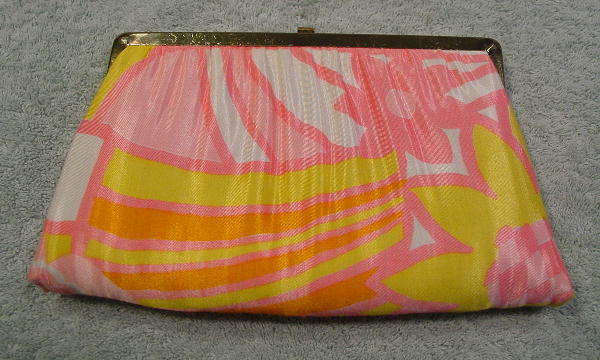 The shiny exterior fabric is in white, dark and light pink, orange, and bright yellow. She used it twice, once at a Cannes Film Festival party, and once at a party in Monte Carlo.